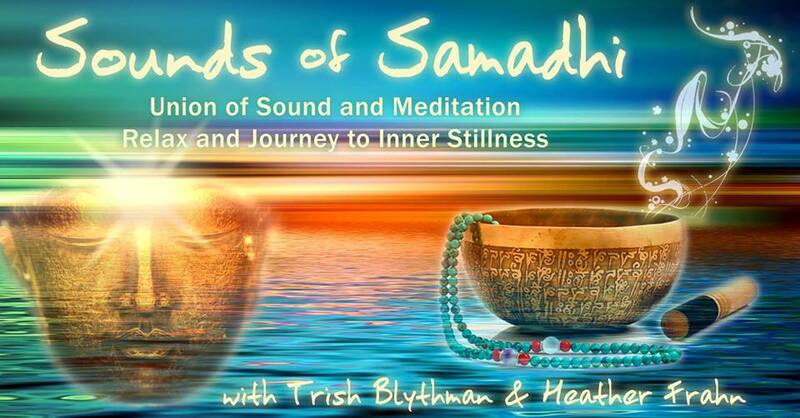 Join Trish Blythman and Heather Frahn for this special collaboration of meditation and sound. Trish and Heather will take you on an inward journey combining the mediums of sound healing, sacred music, mantra, and meditation. Like a sonic hug for your soul, they will interweave therapeutic sound and music instruments, with ancient mantra and ethereal vocals. In addition to years of experience with sacred sound, music and meditation, Trish and Heather are Certified Sound Therapists through the British Academy of Sound Therapy, with Diplomas of Sound Therapy Practitioner Level and Group Sound Therapy. Heather is a Trained Meditation Teacher through Lifeflow Meditation Centre, and has years of experience guiding mindfulness meditation within community and corporate settings. This offering is best received sitting with back supported, or laying down. For your comfort please bring a bottle of water, cushion/s, blanket and yoga mat. Please note some of the session will include a guided meditation where we will be sitting down. Chairs, and meditation cushions will be available to use. Tickets to this special event are $50 each plus booking fee. On-line tickets close at 11:59pm on Thursday May 3rd.